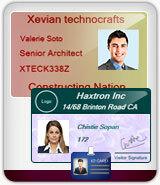 ID Cards Maker (Corporate Edition) creates ID cards for students, employees etc. 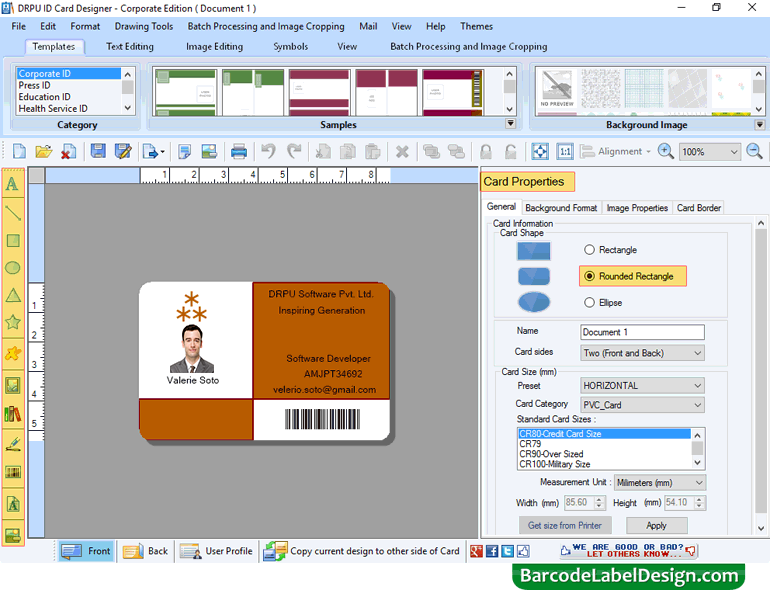 Design and print various identity cards such as student ID cards, employee ID cards, Gate Pass ID Cards and other similar ID cards using ID Cards Maker (Corporate Edition). Program has various pre-defined ID Card Design samples to quickly print identity cards. To make your own ID Card Design, software also provides ID card designing objects including line, text, rectangle, barcode, watermark, signature, browse image, symbols, image library etc. ID Cards Designing Program has facility to add image by capturing using camera-settings as well as crop image according to your identity card. Software provides Gate Pass Maker and Visitors Management mode to specially create visitors ID cards. For maintaining visitors records you can add visitor's information to the database while designing Gate Pass. 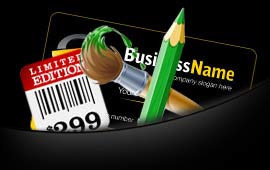 ✪ You can export or save designed ID cards as image, as PDF file format and as template. ✪ Multi colored ID card can be created by using color settings available in software. ✪ For future usage, software has feature to save designed ID card log in .idd file format. ✪ Using series generating options you can generate multiple identity cards. ✪ Software has advanced print-settings to print designed ID cards. ✪ Using email-settings of software you can send created id cards to single or multiple list of email IDs. 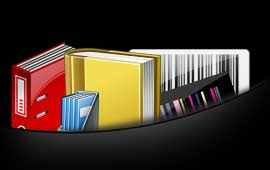 ✪ Crop images for id cards with Image Cropping option of software. ✪ Program has Live Group and Batch Processing Mode to create list of ID cards using excel data. ✪ Design identity cards in different shapes such as rectangle, rounded rectangle and ellipse shape.